From the very beginning of Gracie Barra, Master Carlos Gracie Jr. has had one goal in mind: Jiu-Jitsu for Everyone. For over 30 years, we have offered classes for adults that teach people of all backgrounds and skill levels the art of Jiu-Jitsu. Our structured curriculum is designed specifically to help you succeed during your training in the art of Jiu-Jitsu. GB1 This course can be thought of as Jiu-Jitsu for beginners. This course teaches the fundamentals and principles of BJJ as well as the skills you need to grow personally in a Jiu-Jitsu lifestyle. GB2 Advance your Jiu-Jitsu game flow during this course. Take your training beyond the fundamentals and begin to hone the principles you need to succeed, such as discipline, respect, commitment, and leadership. GB3 This program is designed to help students achieve Black Belt excellence. At this stage, a student will begin applying what they learn during their Jiu-Jitsu training to everyday life. Our adult Jiu-Jitsu programs are specifically designed with each student’s personal achievement in mind. Your personal goals, such as fitness or self-defense, will be taken into account when you sign up. Our self-defense classes for men and women are a great way to practice real-world techniques while strengthening your mind and body. 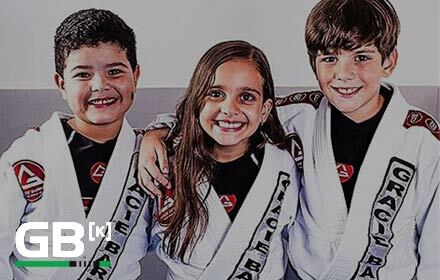 Gracie Barra students see improvement not only athletically, but also mentally as they incorporate Gracie Barra’s proven principles into their lives. 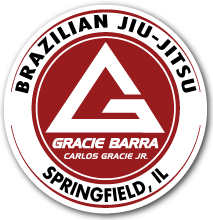 Jiu-Jitsu classes at Gracie Barra are perfect for any adult in Springfield, IL who wants to learn a new skill in a safe, challenging, and family friendly environment. We offer programs for all skill levels, so you can choose to focus on the fundamentals of BJJ or train to get your Black Belt. Contact Gracie Barra today for a free class to get started.